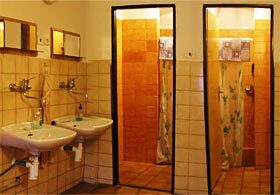 We offer 5 rooms with own shower and toilet. 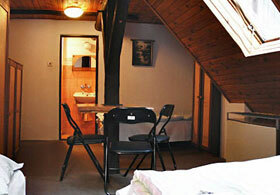 The rooms have 2 - 4 beds. 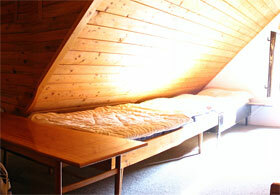 We can offer an extra room with 6 beds for close groups that book the whole pension. 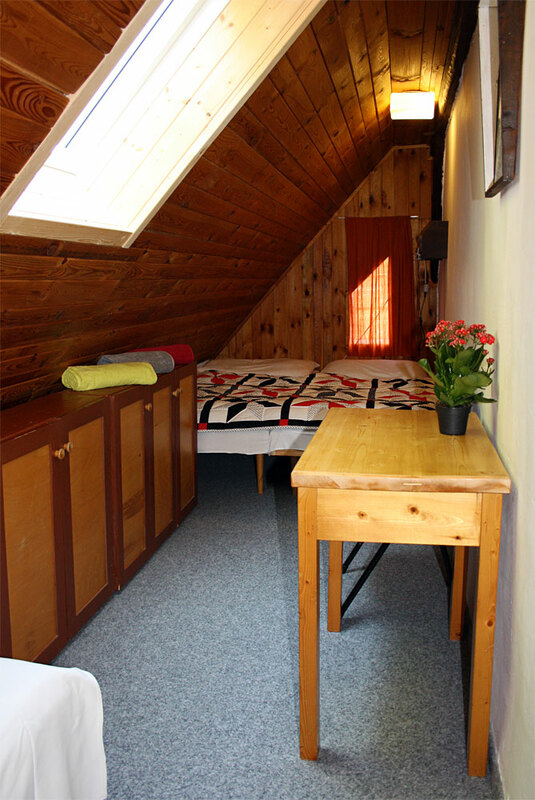 The room is in the attic and we offer it at lower price, so that up to 23 of you can enjoy a pleasant stay at our pension. 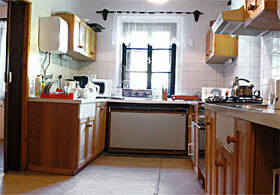 All rooms have its space in a fully equipped kitchen where you can use: gas cooker, microwave, jug kettle, toaster, dishes. 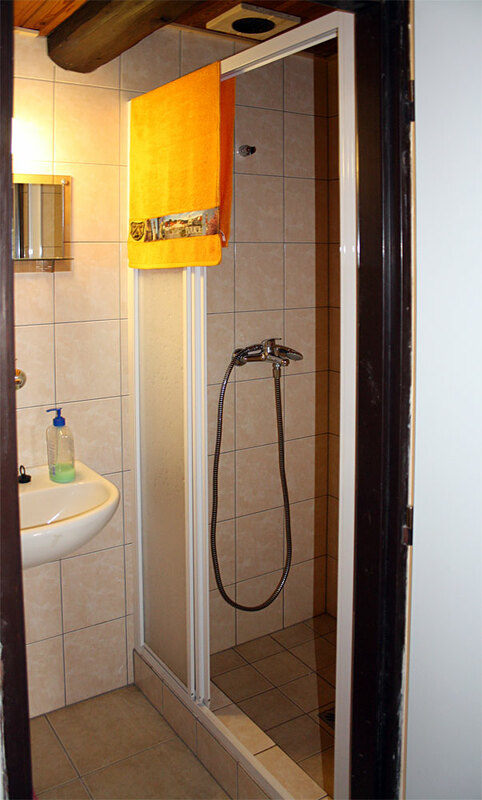 Each room has its own refridgerator. 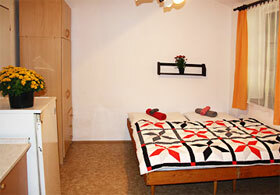 Room nr. 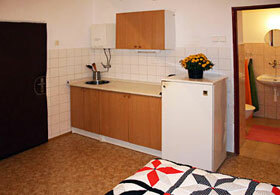 5 has its own kitchenette directly within the room. 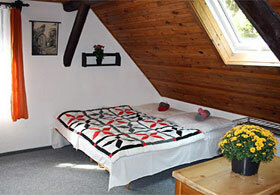 Guest room with fireplace stove is freely accessible to all our guests. We offer also: relax on a terrace, parking, bicycle look-room. 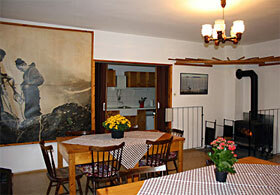 Wi-Fi is freely accessible in the whole pension. 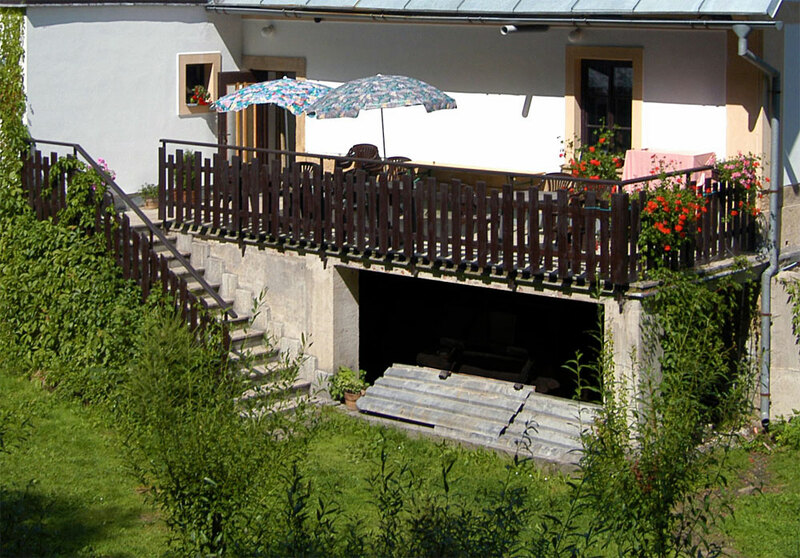 Smoking is strictly prohibited in the whole pension. 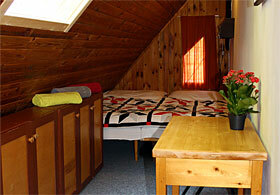 Our guests can use a parking place by pension and also a lockable bike-room.